Bored? Got $250 to burn? Then total a car. Time for some mindless fun watching these dudes, who call themselves the 'Cboys', total a car they bought for $250. There's some ramping, an axe and a whole bunch of front-wheel-drive drifting action. 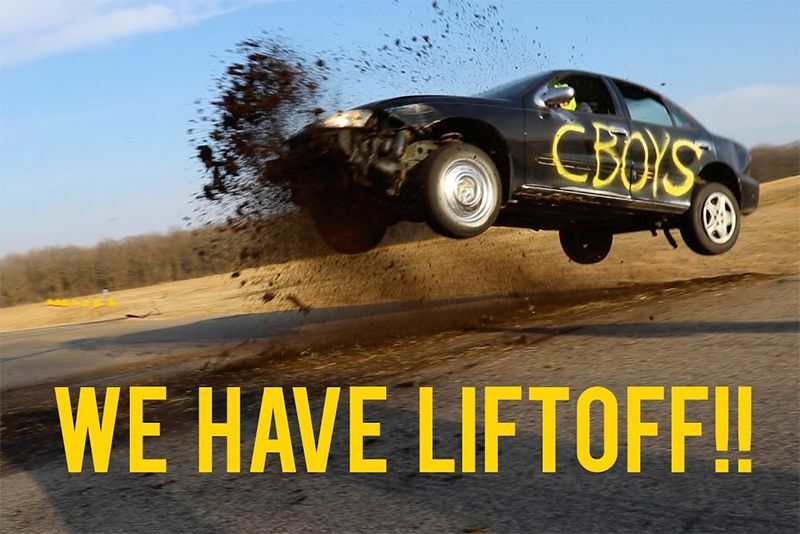 If you don't know the Cboys, be sure to check out more from their YouTube channel where they do a bunch of crazy stuff and seem to really love destroying vehicles just for the hell of it. Somehow, watching these youngsters is mindless entertainment to help you out when the boss is out of the office. Video: This Bmw Driver Takes Public Drifting To A Whole Next Level Of Crazy And Awesome! Video: Pro Drifter Leona China Poses As A Clueless Car Saleswoman, And Gives Unsuspecting Customers A Big Surprise!